We have an unrivalled reputation in the field of exproting and supplying the best grade Acetic Acid. Acetic acid is an organic compound with the chemical formula CH3COOH. It is a colourless liquid that is the main component of vinegar (apart from water), and has a distinctive sour taste and pungent smell. Being one of the simplest carboxylic acids used in the production of cellulose acetate mainly for photographic film and polyvinyl acetate for wood glue, fabrics and many more things. 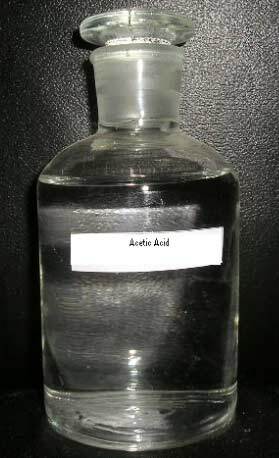 Additionally, the clients can avail this quality-tested Acetic Acid at market leading prices.